Think of the new case as a work of art—PC art, that is. Forget Van Gogh. If you want to impress your nerd friends, what's better than a PC hanging on your wall? 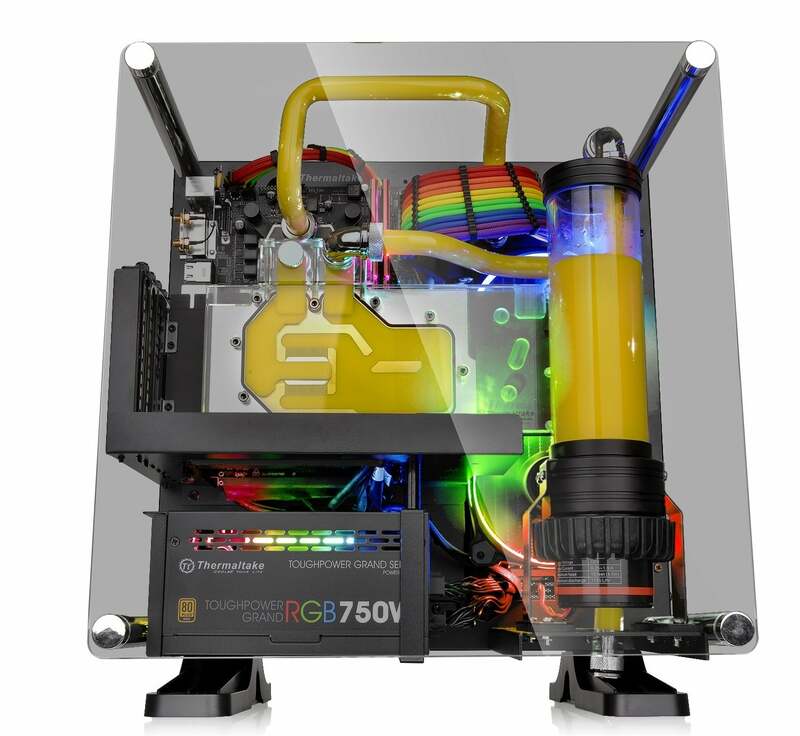 ThermalTake on Wednesday announced the Core P1 TG, a PC case that's fully wall-mountable. It's similar to the company's gorgeous Core P3, but the Core P1 TG shrinks the size of the entire system by supporting the smaller Mini ITX motherboard spec (the Core P3 is built for full-size ATX motherboards). The Core P1 started as a 3D-printed concept that ThermalTake teased this summer, but the company decided to go into full production with it. 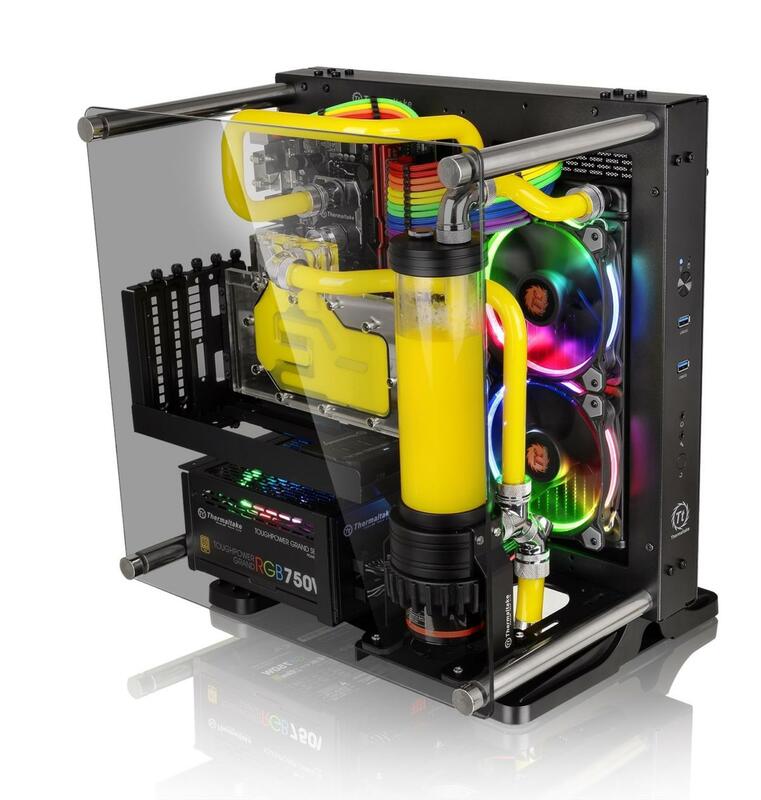 The case includes a flexible PCIe riser cable that allows your GPUs to be mounted perpendicular to the motherboard. Though technically an open-air case, the Core P1 does offer some protection for your components with a 5mm sheet of tempered glass. The Core P1 can be used as a standard desktop case if you don't want to hang it on your wall. If you think the Core P1 is too tiny, don't worry. 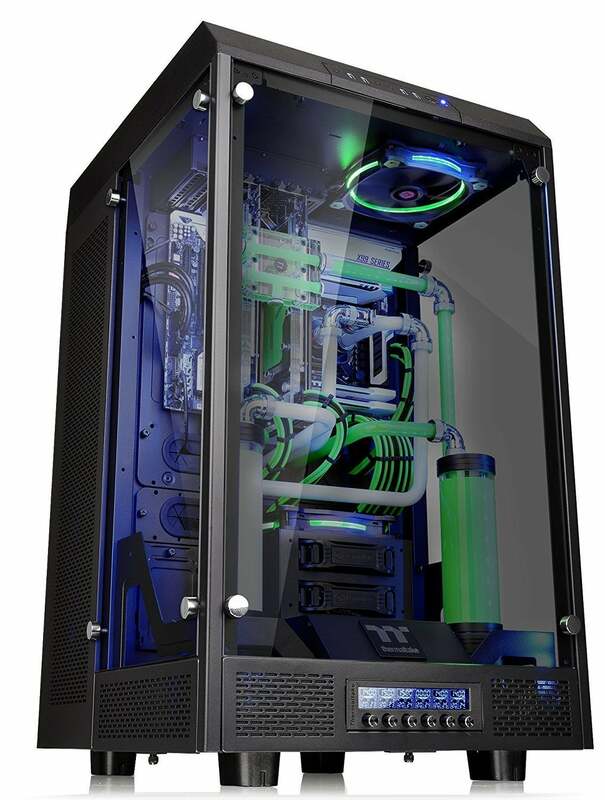 ThermalTake also unveiled a new case called "The Tower 900." The Tower also features tempered glass, but rather than using a Mini ITX motherboard, it'll accommodate up to an Extended ATX motherboard, and is classified as a Super Tower case. The Tower 900 is available now for $900, but pricing and availability for the Core P1 wasn't released.